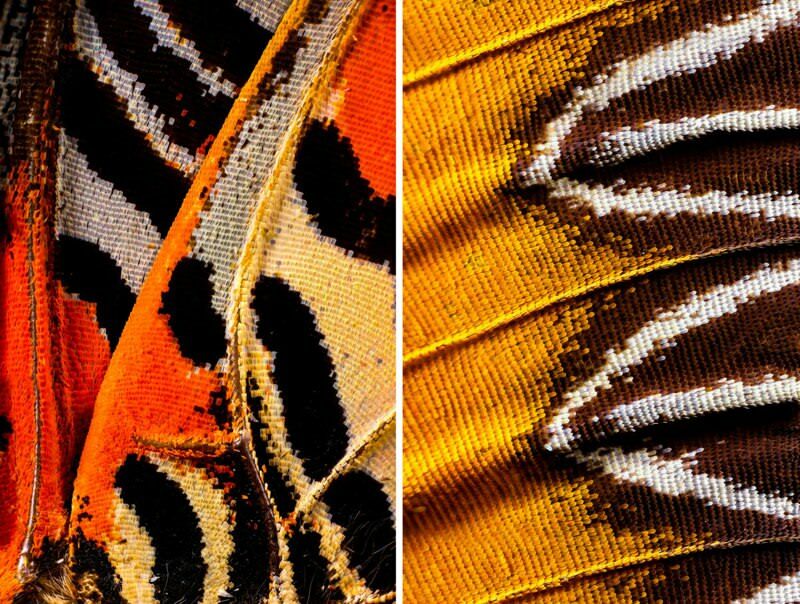 These aren’t computer generated images, just extreme close-ups of butterfly wings captured by photographer Chris Perani. 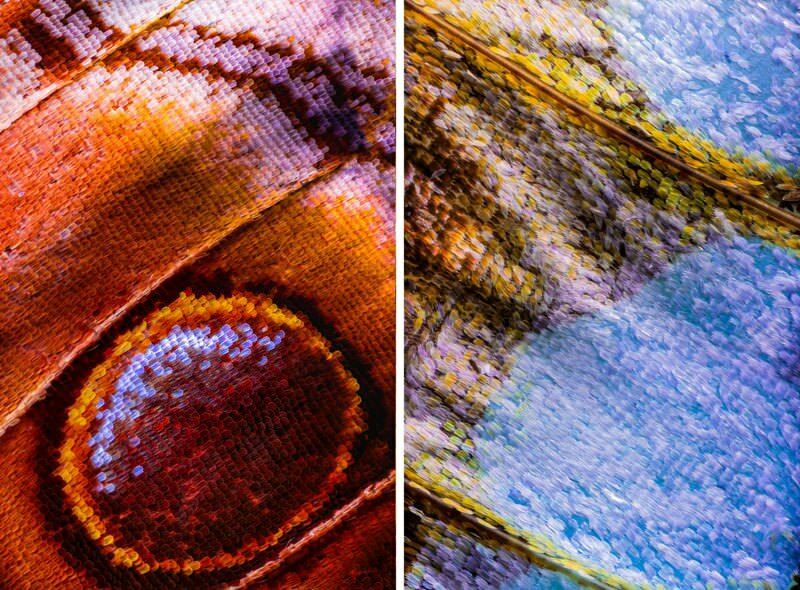 They may look beautiful, but these images took a painstaking amount of work, as each one is composed of 2,100 separate exposures that were merged into a single ultra-high-resolution photo. 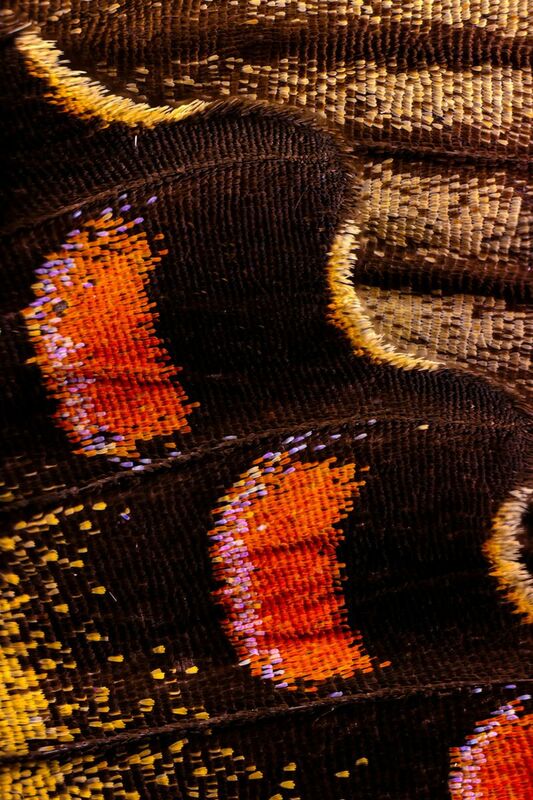 They were captured using a 10x microscope objective attached to a 200mm camera lens. Continue reading for more pictures and information. 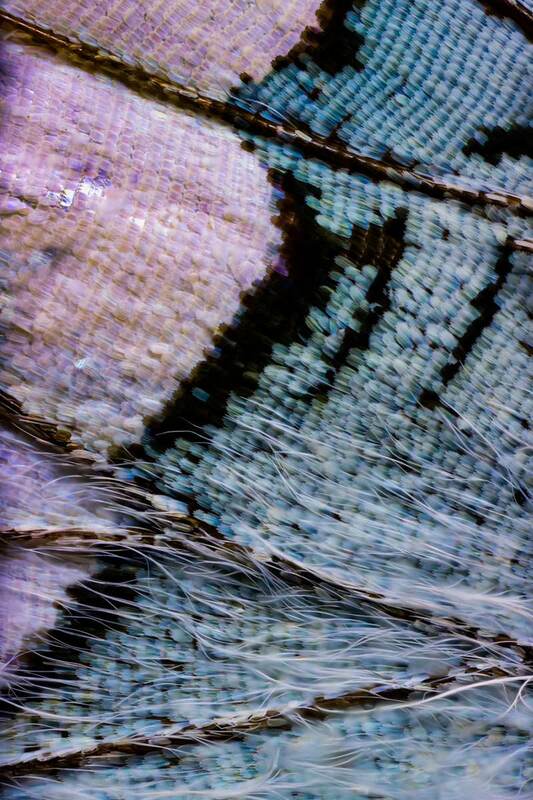 “Since I am using a microscope objective, the depth of field is almost nonexistent. Using a focus rail, the lens must be moved no more than 3 microns per photo to achieve focus across the thickness of the subject, which can be up to 8 millimeters. This yields 350 exposures, each with a sliver in focus, that must be composited together. This process yields one piece of 6 piece puzzle. 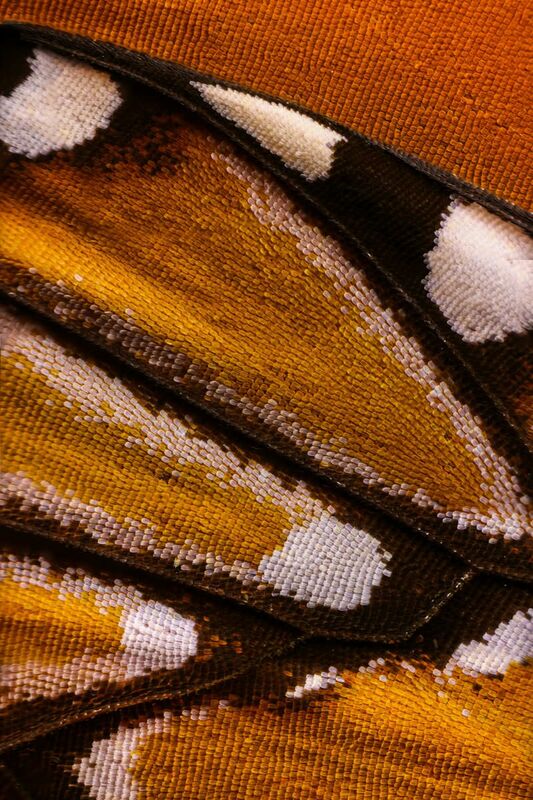 The process is repeated 6 times for different sections of the wing with the final result being the composite of these piece,” Perani told PetaPixel.